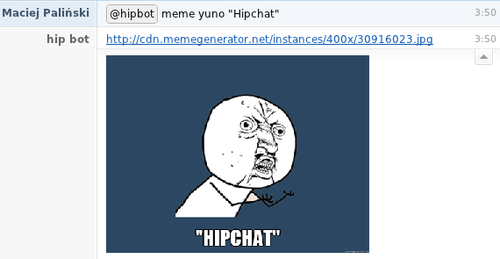 Around last Xmas we’ve switched from Skype to HipChat and we still love to use it. I think every person from our team could confirm that it was the best change we’ve made. But what makes HipChat better than other tools ( Skype, Campfire, etc.)? 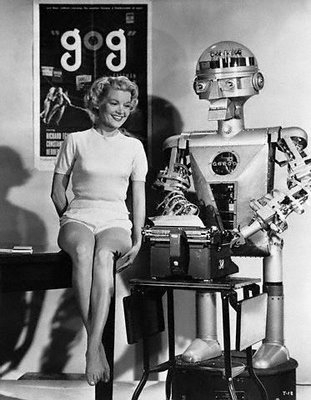 and finally - we can implement our ideas, likes bots or anything that comes to our mind! 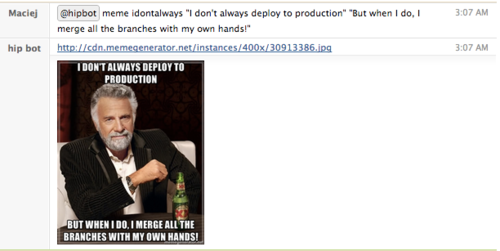 So as you see HipChat can be extended to great information-machine, which helps us everyday, and makes us happier.